The point of life is distorted through different angles of many people manipulating each other. I teach you from my experiences as a Freelance Intelligence Operative how to fulfill your potential. I discuss psychology, education, history, religion and other interesting topics.I also give advice on exercise and natural remedies. 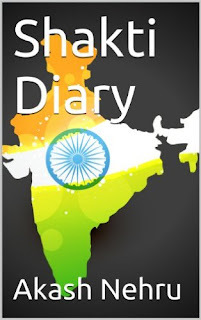 Shakti Diary is a self help development book that enables you to see and live life differently. This helps with making yourself more powerful in the modern world.